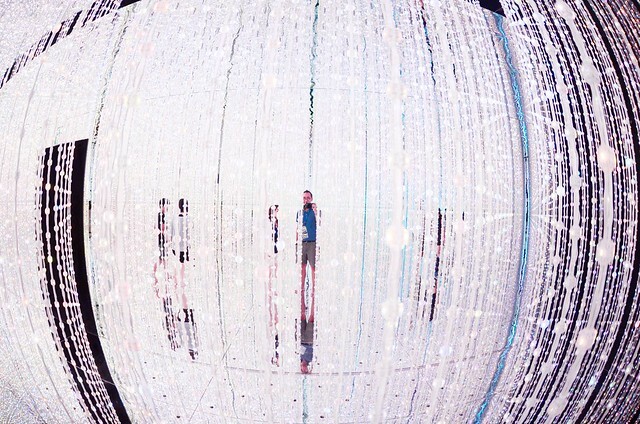 Aside from the matsuri, Japan has hundreds of exhibits too during summer. 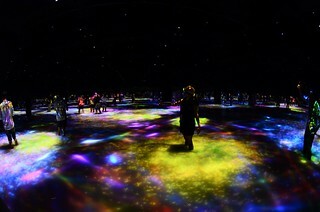 One of the exhibits that caught my interest was DMM Planets Arts by teamLab. 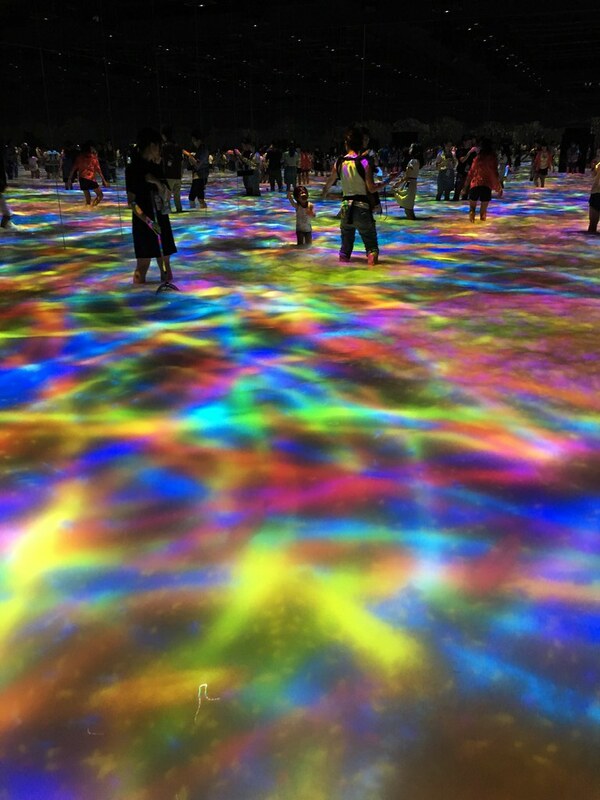 It is currently being held in Odaiba from July 16 to August 31 2016 [10 am – 10 pm]. The event is located just a few steps away from the Diver City [Gundam]. It costs 2,000 yen and an additional of 1,500 yen for priority ticket, in case you are too lazy to be in queue for more than 30 minutes. You can get a 500 yen discount for online reservation. As soon as you enter the venue, you will be requested to remove your shoes and place them in the locker provided. Also, it is better to wear shorts since you will be walking into the water. The exhibit has four areas. The first one is the SOFT BLACK HOLE. Imagine yourself in between huge mogu pillows / cushions. Some may find it challenging especially the older ones but as long as you are not panicking, you will be fine. Sorry, I forgot to take photos here. The second area is known as the CRYSTAL UNIVERSE, my favorite part. As soon as I step on the mirrors, I felt that this is the cleanest place I have been to. 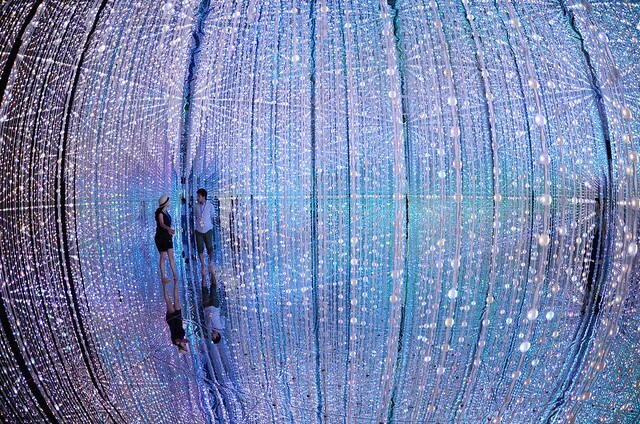 The display of lights is mesmerizing, a very well-played illusion. It is also a sort of maze. It is also interactive where you can create your own universe via your smartphone. I think I need to go back here soon. 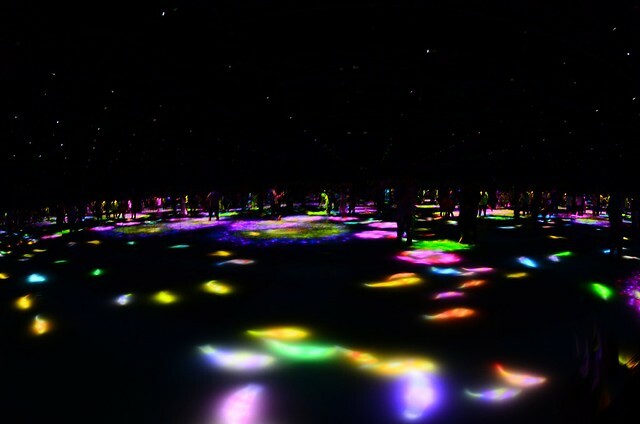 The next area is known as INFINITY, where the lights are played on the surface of the water. 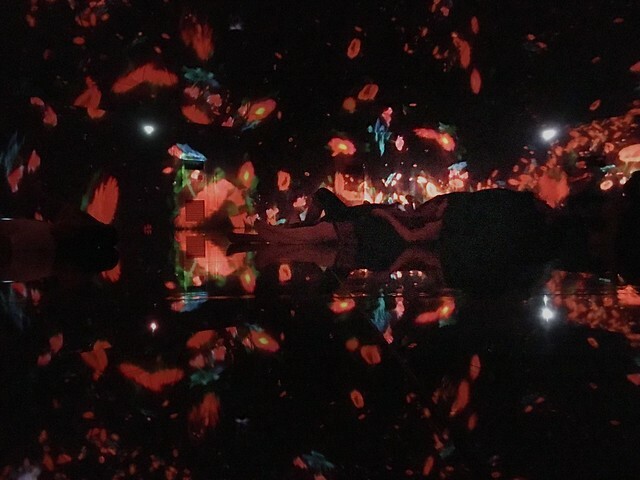 Virtual koi, fishes and water flowers are being projected. It is kind of dark so be extra careful not to drop your mobile phones in the water. You can try catching the fish and they will transform into flowers right before your eyes. Magic. This area is a hit to children. The last area is the FALLING FLOWER UNIVERSE. It is the perfect time to relax. You can also use your smartphone here to release the butterflies to the virtual universe. There are some sofa / couches where you can lie down. I opted to lie down on the floor while watching the life of the flowers unfold. Unfortunately, you are not allowed to go back to a certain area once you have left it. So, take your time and enjoy each area. Here’s a short video I took. 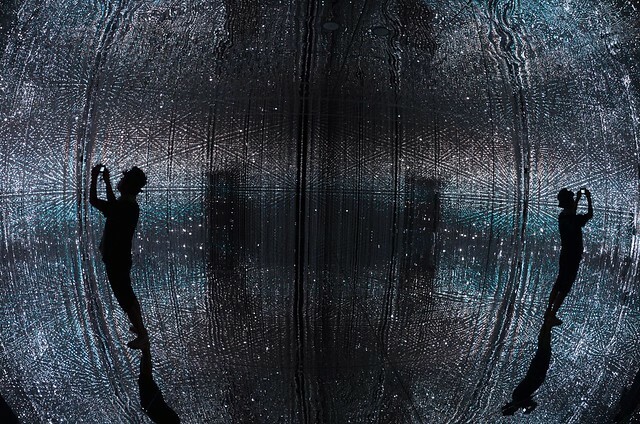 Crystal Universe from jacklord in japan on Vimeo. I highly recommend this exhibit. If you are in Tokyo this summer season, go to Odaiba and purchase the ticket. It’s a magical place. Lots of song here! In the poem, in the photos and in your narrative where you give the names of each space and the crystals sing a different song. I am still mesmerized, Sanaa. Thanks! What an AMAZING exhibit this is. 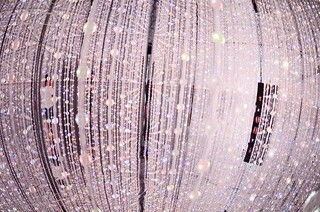 I love crystald, I would be in heaven in such a place. Thanks, totomai. wow. 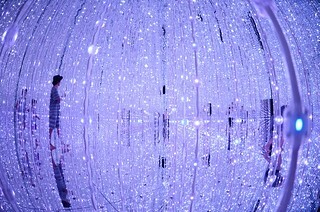 what an amazing room filled with crystals. choir at a pawn shop, ha. i like the contrast in that. fascinated pictures as i am sure was the actual display. I want to travel with you.....you find the most amazing places. What a feast for the senses and the imagination....I adored it all, and it really came to life in the video. Join me Donna. It will be my pleasure. Totmai Thank you for sharing your travels. This is fascinating. Your words are wonderful too. Loved this post. 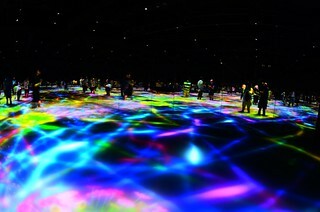 Wish I could experiencee this exhibit. Can I now be a tour guide, Myrna? Thanks! Brilliant shots, brilliant capture in your words too! What another great post and presentation Totomai. Stunning!